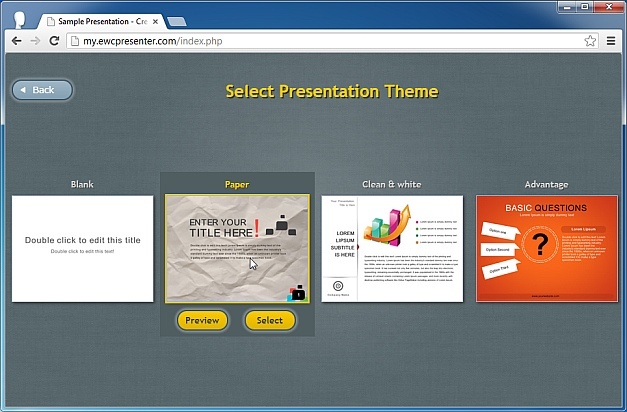 Easy Web Content Presenter (EWC Presenter) is an HTML5 based web app for creating banners, Interactive Infographics, animations, web presentations and demos. 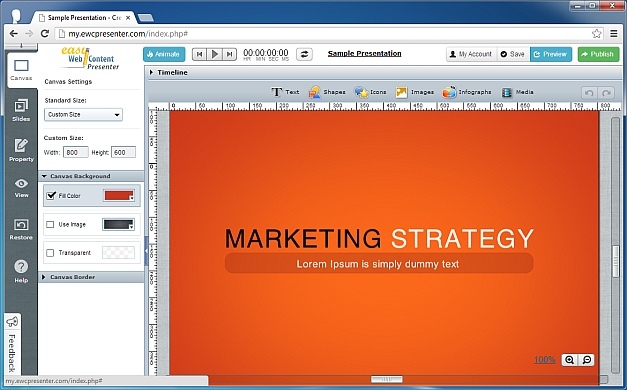 No need to use complicated desktop applications for creating an attracting advertisement for social media marketing, as EWC provides an all in one solution for easily making rich HTML5 based content from the cloud. 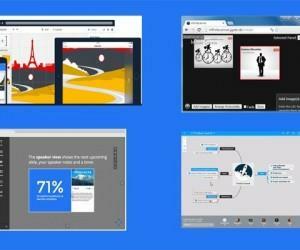 Similarly, you can make better presentations than Microsoft PowerPoint or Keynote by engaging your audience using visually appealing and interactive content produced by this web app. While EWC Presenter is a paid web app, you can instantly try it out by signing up for a new account to use the trial version. Like most modern web apps, you can also sign in using your Facebook account. Once logged in you will be asked to select a Project Title. After your title is selected, you will require selecting the type of content that you wish to create. 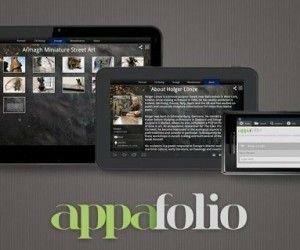 The available options include; Custom, Presentation, Banner Ads, Infographics and Product Demo. 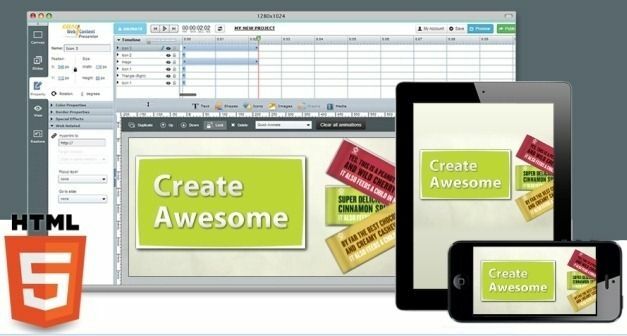 as is obvious, the Custom option is meant to create more personalized content, which may be anything from a presentation to a banner ad, product demo, infographic or even something else entirely (e.g. mockups, charts and graphs or interactive resumes). Once you have chosen what you wish to create (e.g. 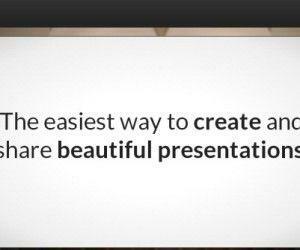 Presentation), you will be provided with readymade themes to further facilitate your work. You can hover your mouse over these themes to get the Preview option or simply Select a theme to begin creating your content. 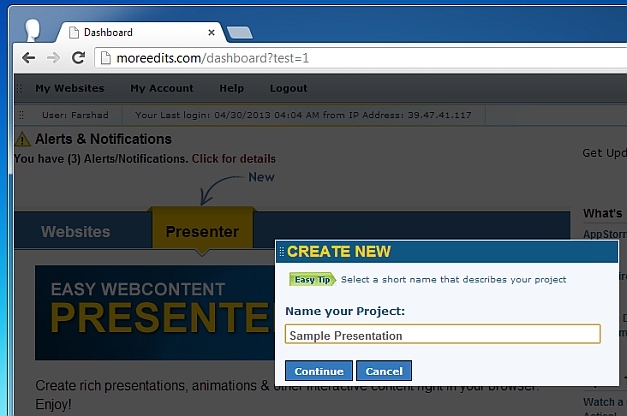 When you select a theme you will be provided with the option to view various video demonstrations before working on your project. 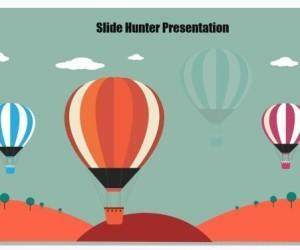 As you can see from the below image, the available options for creating content using EWC presenter are quite vast and you can easily set a custom size for your project, add background color and slides via the Slides tab. Similarly, you can add text, shapes, icons, images and infographics via the Property tab. 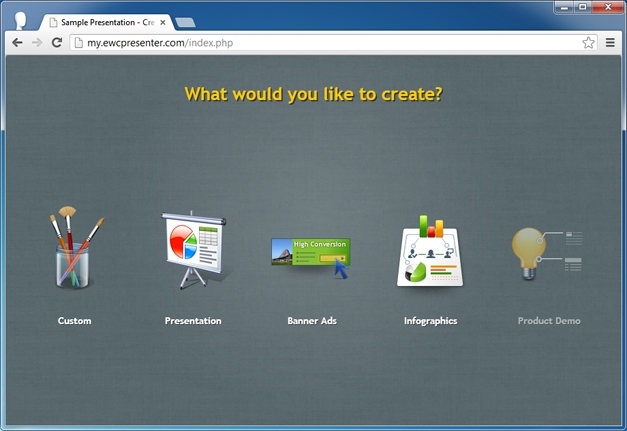 The available options are “arguably” as good as Microsoft PowerPoint and its like using the PowerPoint web app for creating content, with the additional benefit of being able to embed Published presentations and the utility of creating more than presentations, (as EWC Presenter also supports interactive content). After your project is complete, you can Preview the result and Publish it to make it publicly available. 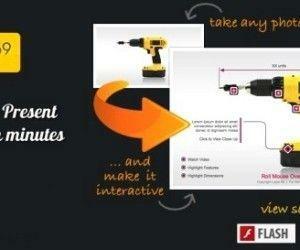 Easy Web Content Presenter has a $10 (per month) Standard Package and a $22 (per month) Complete package. EWC Presenter is now known as Visme.